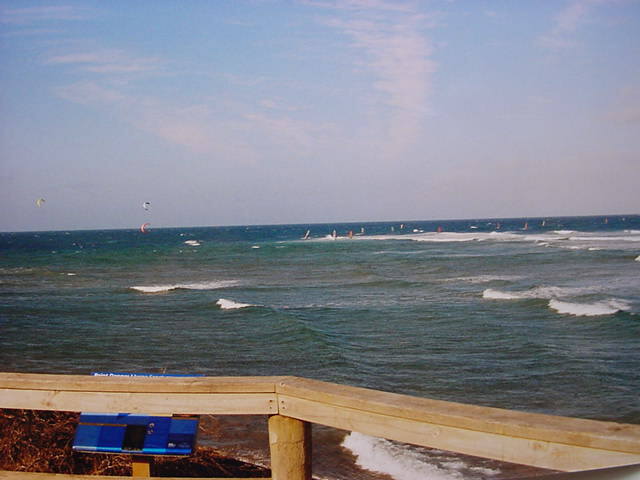 Went to point henry this afternoon to get dragged around and catapulted as im a learning windsurfer and i counted 20 odd kitesurfers no one windsurfing is the sport dieing ? Yet I saw many windsurfers last weekend at Pt Danger and only a couple of kiters. Sailed Sandy Point - Shallow Inlet on Sunday. Epic Day trip. 3 of us left Melbourne 6.30am, coffee at fish creek 9am, on the inlet at 10am wind gusting 25kts WNW. Half incoming tide, so NW bank exposed for an hour. Some fast runs on 6.2m reflex/ 90L AHD. Mark and Paul had 7.0m O-drive/JP slalom101 & 6.0m Gator/SB ATOM110. Some wild runs as it gusted to 34kts and chop increased, we all swapped rigs to have a go of the different gear. Tide was going to be high, big current, had to move the cars up the dunes. Kept sailing high tide across the inlet flats (thought i was still in new caledonia). Exhausted 2.30pm, derigged behind the cars tide still rising, 3.30pm high tide - rear tyres & bumpers in water. Got out of inlet at 6.30pm, straight to fish creek pub for parmas and t-bones, home at 10.30pm. What a day!! 5 sailors at inlet side, who's coming down next time? Yep I'm in again!!! Sandy put it on for us. Thanks again had a ball. Was thinking about it all day today. Thanks Guys had a ball , when we going again , I still have arm pump . Washing my car !! I was in inverloch on Sunday. Very gusty but powered up on a 6. Yet I look on the windguru archive and apparently it was only 15 knots when I was there (OK, the forecast for the day was 14 knots with 24 knot gusts). The archive shows 16-18 knots in sandy point when you were there. IOW, how does one know when to go to sandy point? The tide thing worries me the most. At least in inverloch I know where to park. Try Swan Bay at the QLYC, regular crew launches from there when the wind is up. need weed fin and booties. 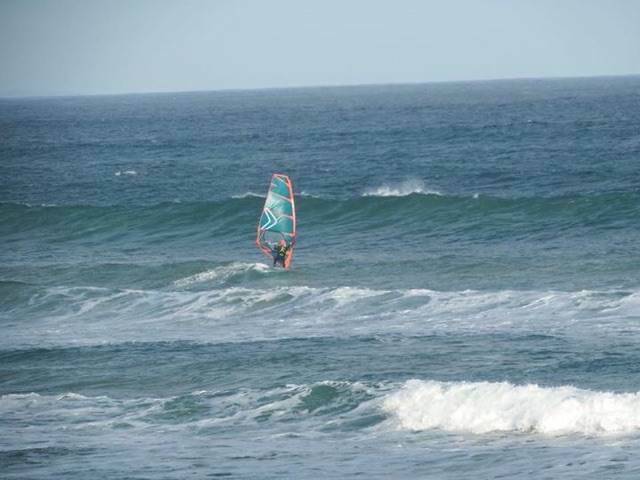 Four of us had a great wave sailing session at ocean grove on Sunday. Light 15-18knots. 4foot waves. Had the best time!!!! Why does it matter if you see 1 or 100 kiters, or the Loch Ness monster for that matter? ?